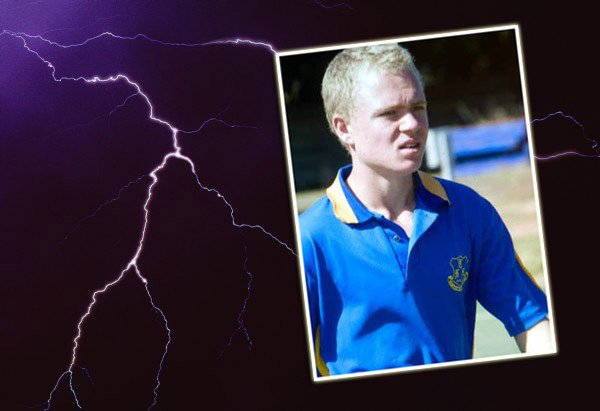 A Grade 11 boy from Mpumalanga was killed on Tuesday morning when he was struck by lightning on his school’s sports fields. Francois Clarence, who attended HTS Witbank, was due to play a hockey game against a Potchefstroom school that afternoon but the match was cancelled due to bad weather. He was apparently walking off the hockey field with some friends when he was struck. He fell to the ground and the emergency services were summoned. They performed mouth-to-mouth resuscitation on him and he was rushed to the Life Cosmos Hospital, where he was later declared dead. • On average lightning strikes the earth 100 times per second. • 3 pm is the most dangerous time of day; it is five times more dangerous than 9 am.